1 VBScript Session 16. 2 Last time weve learned Regulars Expressions. 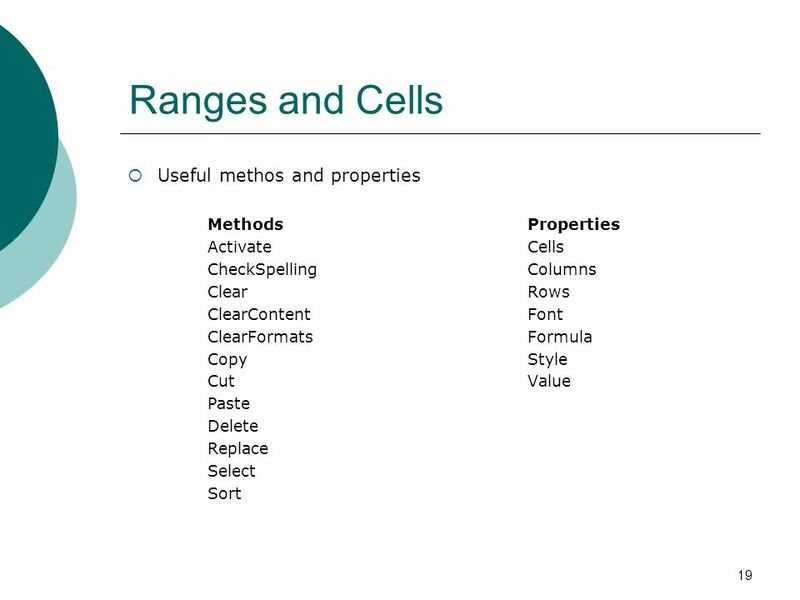 Methods and properties. 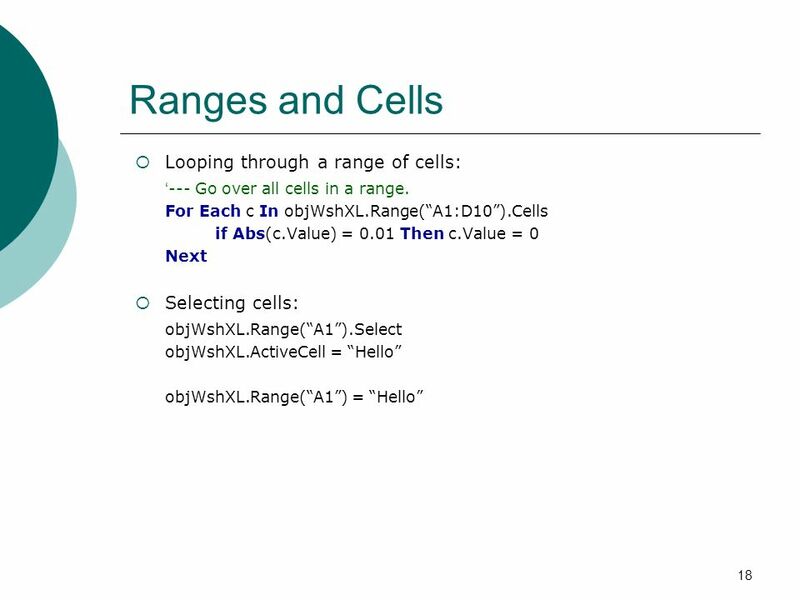 How to use the object and his collections. How to create. 2 2 Last time weve learned Regulars Expressions. 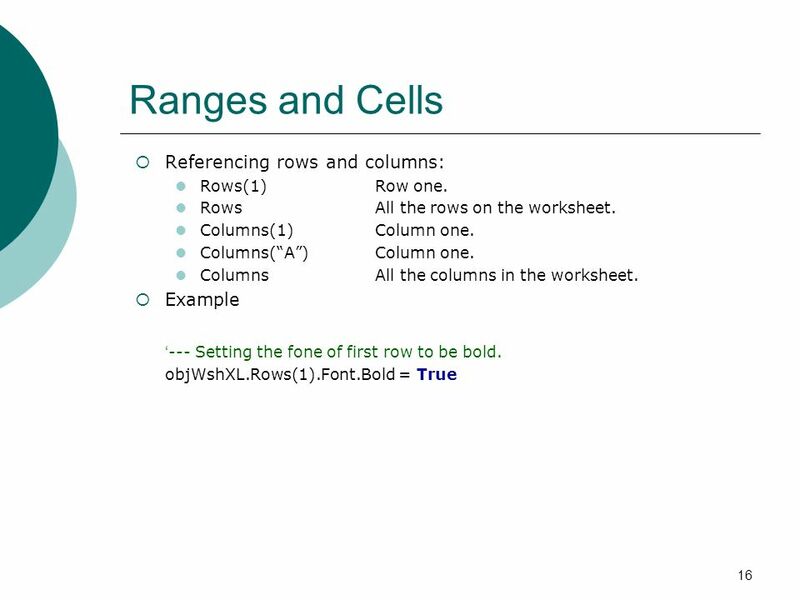 Methods and properties. How to use the object and his collections. 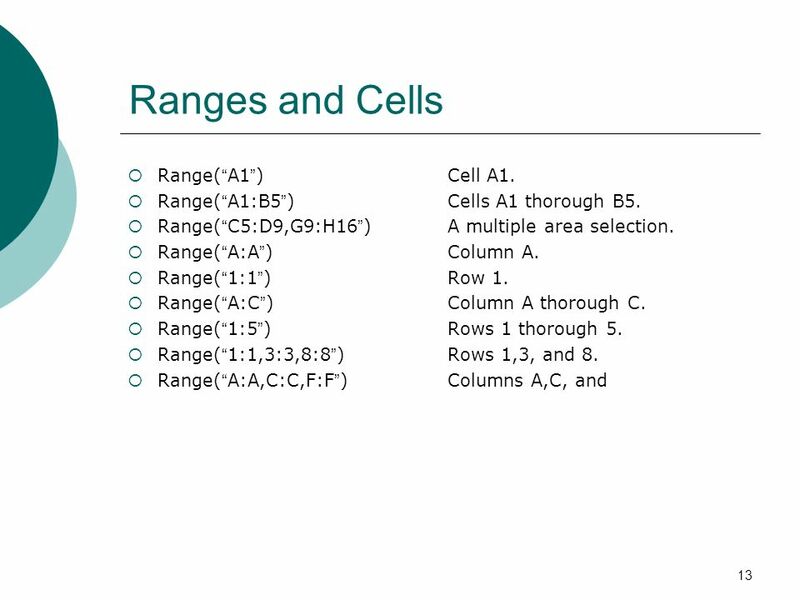 How to create complex patterns. 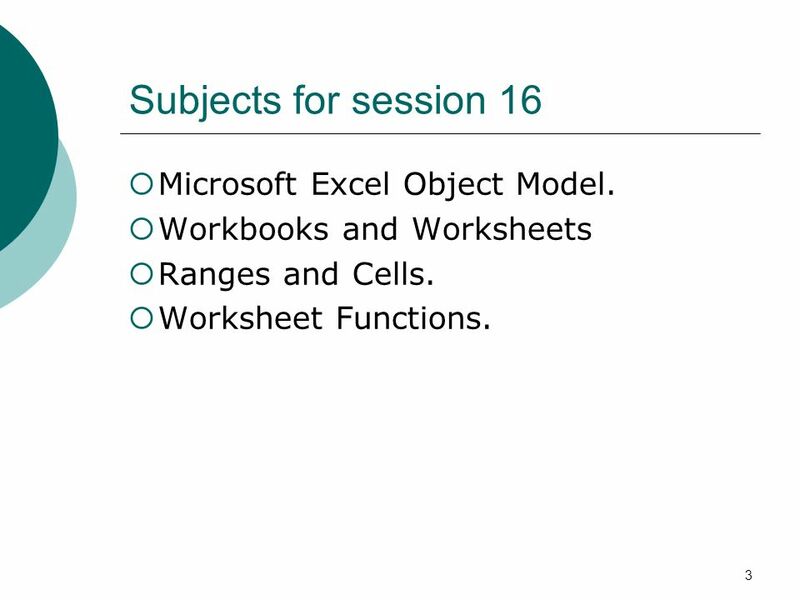 3 3 Subjects for session 16 Microsoft Excel Object Model. 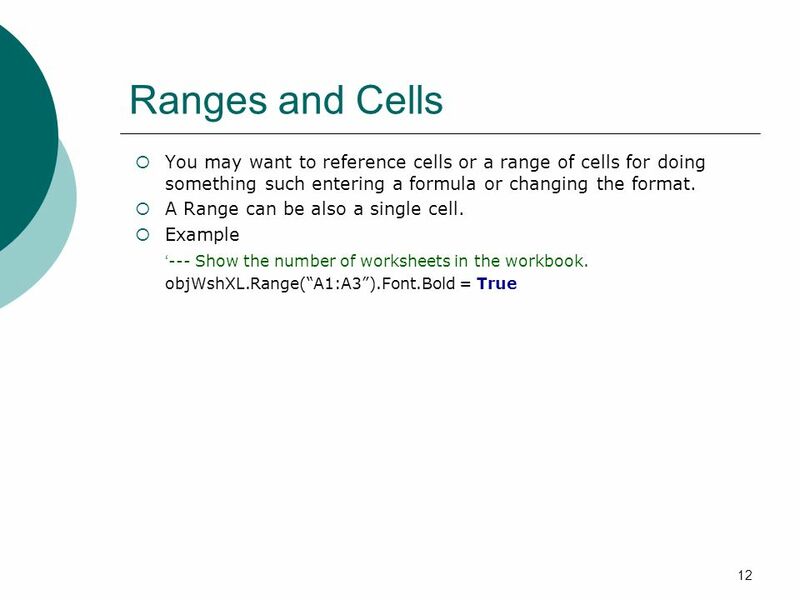 Workbooks and Worksheets Ranges and Cells. 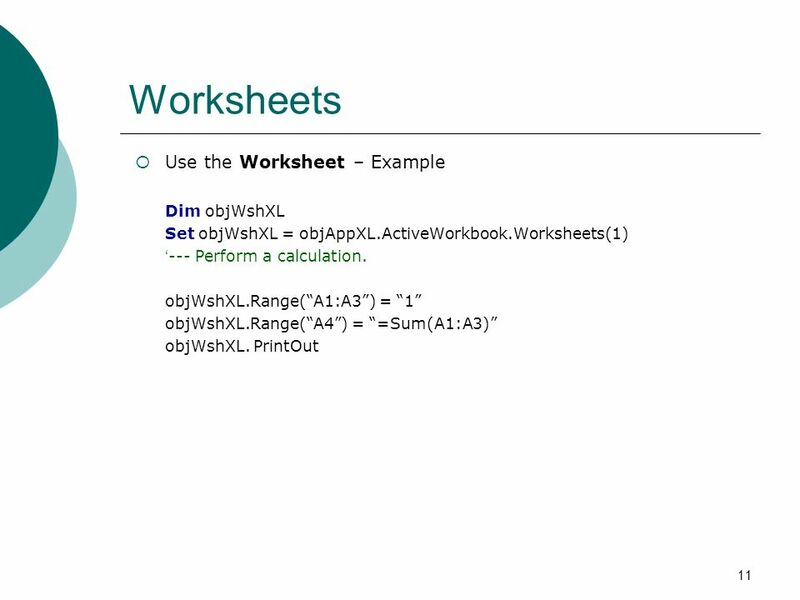 Worksheet Functions. 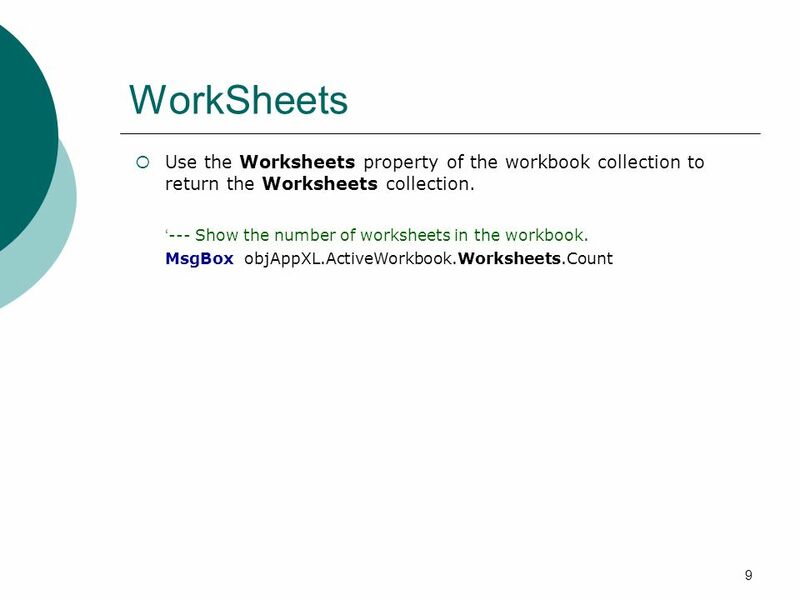 7 7 Workbooks Use the Workbooks collection with an index or a name to reference a workbook. --- Set focus on the firstopened/created workbook. 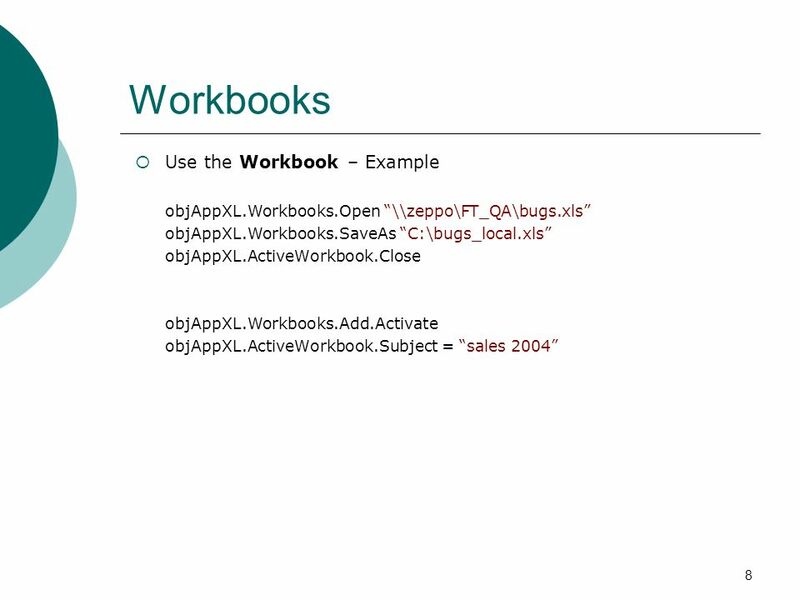 objAppXL.Workbooks(1).Activate --- Set focus on the bugs.xls workbook. 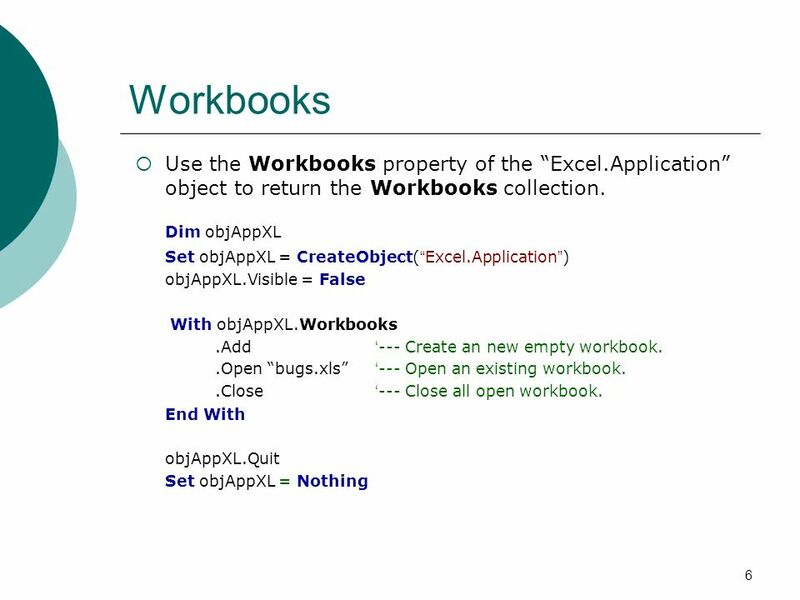 objAppXL.Workbooks(bugs.xls).Activate You can also use the ActivateWorkbook property. --- Set focus on the firstopened/created workbook. 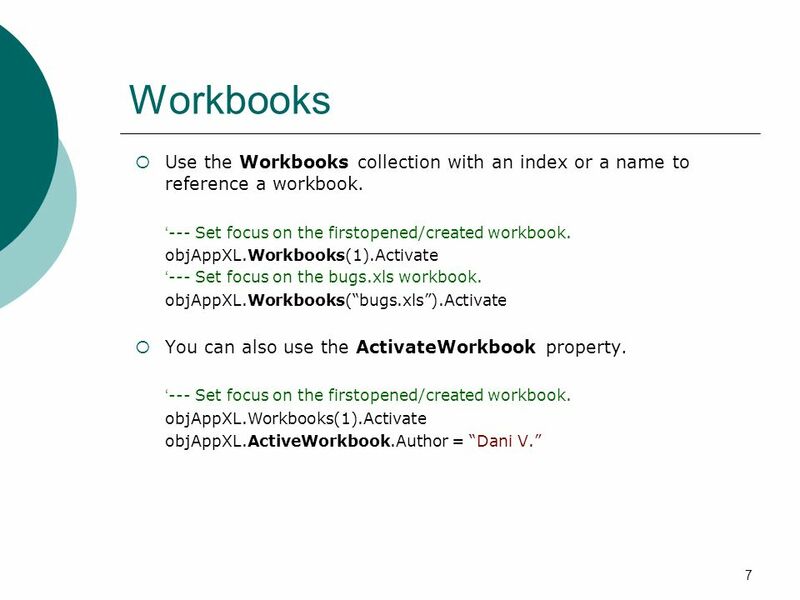 objAppXL.Workbooks(1).Activate objAppXL.ActiveWorkbook.Author = Dani V.
Download ppt "1 VBScript Session 16. 2 Last time weve learned Regulars Expressions. 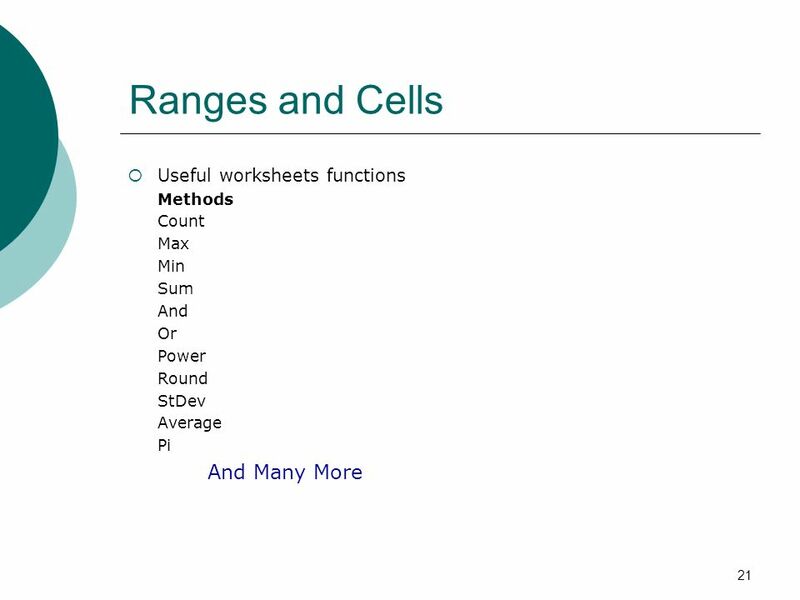 Methods and properties. 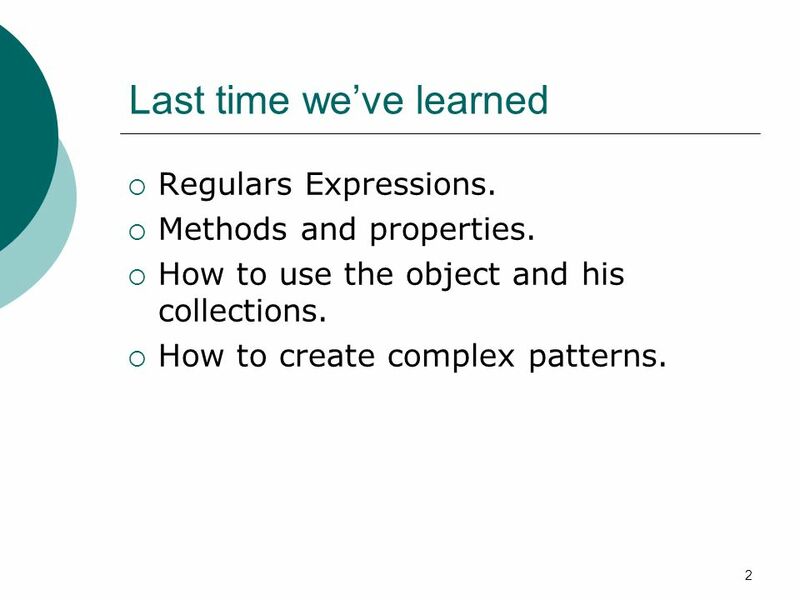 How to use the object and his collections. How to create." 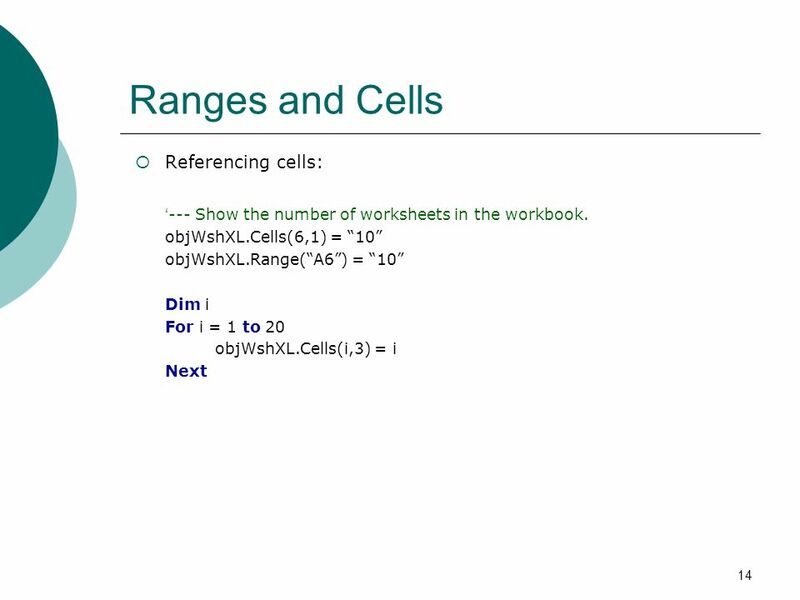 1 VBScript Session What we learn last session? Regulars Expressions. 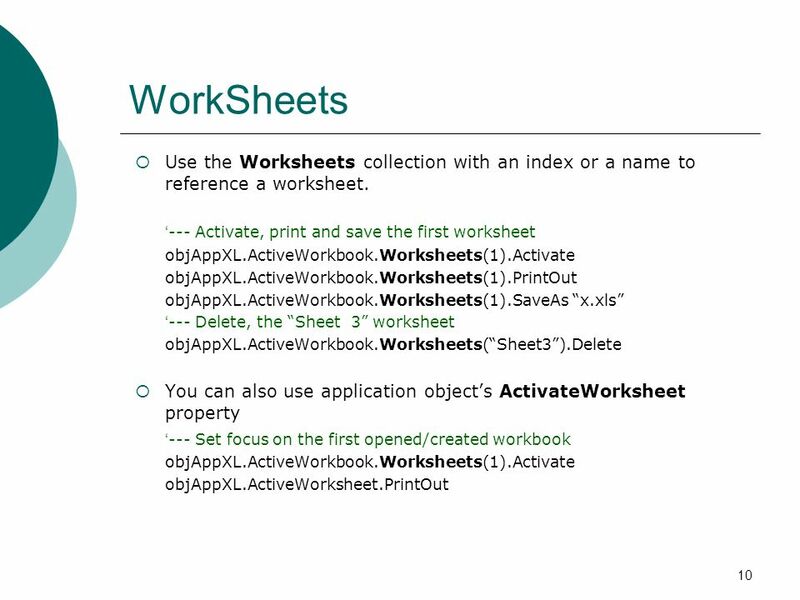 Methods and properties. 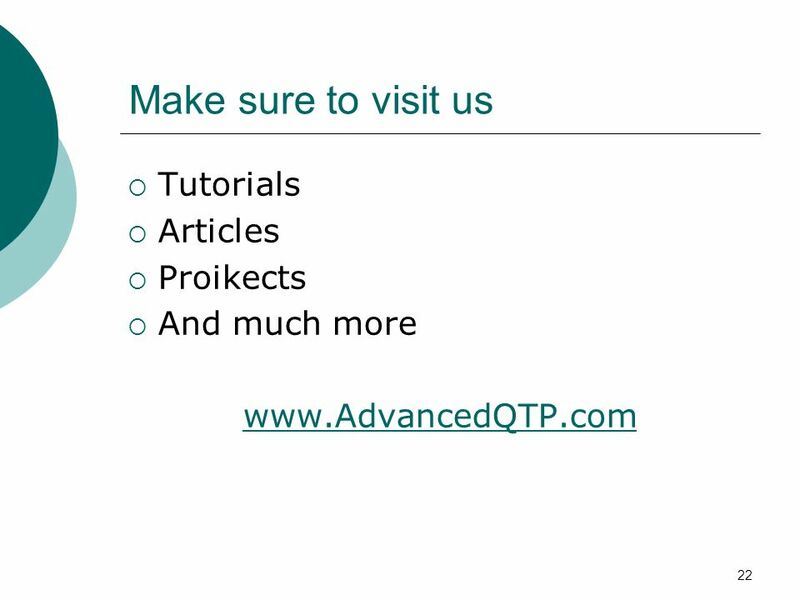 How to use the object and his collections. How to create. 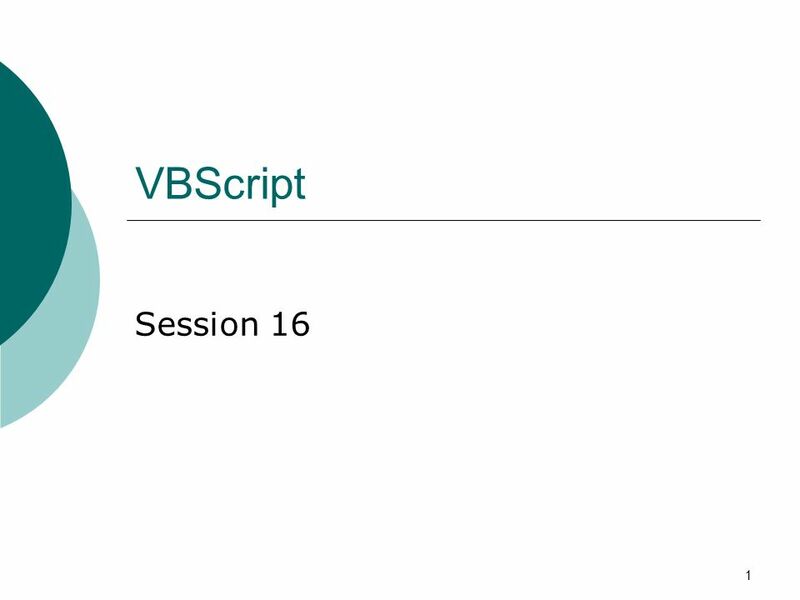 1 VBScript Session What we learn last session? Sep-05 Slide:1 VBA in Excel Walter Milner. 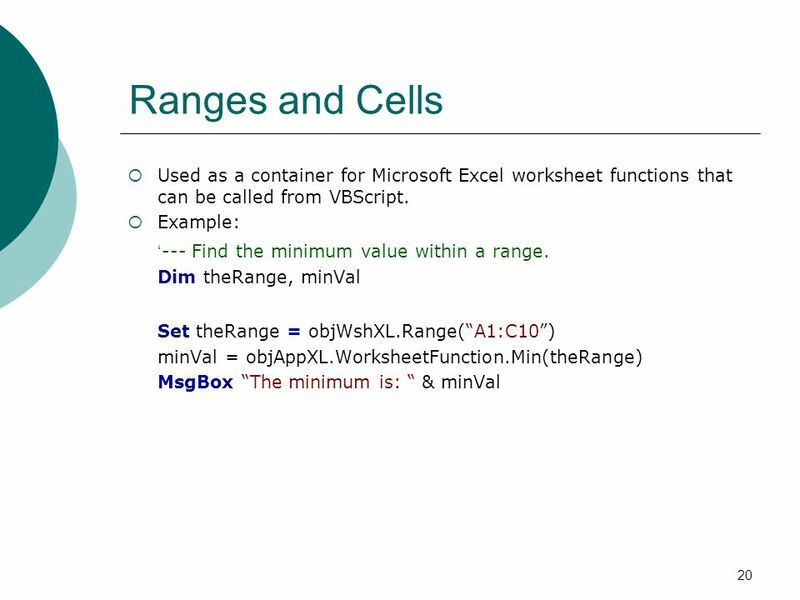 Sep-05 Slide:2 VBA in Excel Introduction VBA = Visual Basic for Applications Enables end-user programming In. 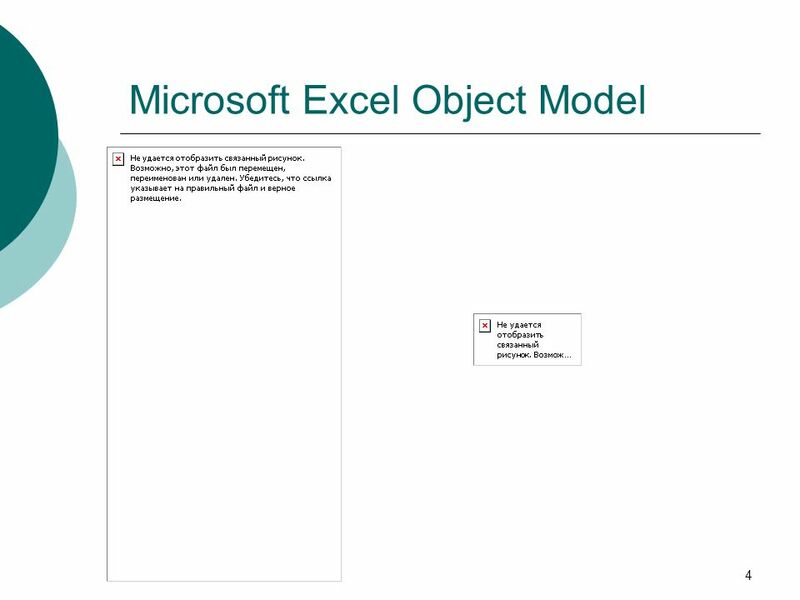 Insert complete company name Creating an Excel Spreadsheet Using Excel 2000.